Nissan have always made “serious 4×4’s”, but the X-Trail always had a smile on its face and never considered its life off road to be very important. But from later this year, the “all new” Nissan X-Trail, already one of Europe’s favourite “soft roaders”, takes on the big boys in the off road market and following our test of the car, we think its going to win. If you’ve already got pre-conceived ideas about the new X-Trails ability based on the old car, hopefully we are going to change that as the new X-Trail is a stunningly capable car. Everyone knows that most people that drive 4×4’s never go off road in them at all, but it’s a bit like wearing a diver’s watch. OK, you are never going to go 200m under the water, but you need to believe that if you ever did, your watch would still be ticking. Well the X-Trail keeps perfect time both on road and off the road. It would be easy with a quick glance to think the “All New” Nissan X-Trail is a facelift. Fact is, its not, its completely new in every way. It just looks pretty similar. Let me explain that. Nissan asked its X-Trail customers what they liked or didn’t like about the old X-Trail and to a man (and woman), the customers said they just loved the X-Trails styling. So being no mugs, Nissan have served up a brand new and hugely improved car and put in similar packaging so people can recognise it on the shelf. Hence there is a good amount of old “X-TRAILness” about the new car. We had the opportunity to really put the car through its paces in the mountains of Northern Greece. We drove over 200 miles on a mix of highway, unmade road and dirt track and also took on some stupidly terrifying car breaking special stages. We came back loving the car and equally important, respecting it. The secret of this is found in Nissans new “All Mode” 4×4-i system, which Nissan claim is the most sophisticated 4×4 system available and they say it’s going to revolutionise the 4×4 world. The system is designed to let the car take all the complicated decisions, providing the driver with the ultimate in performance and total confidence, whatever the terrain. So how does “All Mode 4×4-I” achieve that? Well it’s the “i” that’s important here; it stands for intelligent, instinctive and innovative. The cars system basically helps you through every kind of situation, so no matter how novice a driver you are, you can use the cars abilities to the full. So let’s now look at just part of this system. Beginning with “uphill start support” which automatically activates on inclines greater than 10% and allows you to start driving away without having to use the brakes, as the system is preventing the vehicle from rolling backwards. To compliment this, Nissan added “downhill drive support” which limits the cars speed to 4mph, meaning you don’t have to sit on the cars brakes, which avoids the risk of brake fade, allowing you to concentrate on handling and steering the car, which gives you much greater control. We tested both of these systems on a killer course and we just can’t start to describe the differences it made to the abilities of the car and the driver, but probably most obviously to us as drivers, where we swung from mortal fear when not using the system to “it’s a doddle” with the system switched on. Mighty impressive. In addition to the up and downhill bit, the All Mode 4×4-I” system also includes an “Integrated Electronic Stability Program” which anticipates the risk of wheel spin and instantly transfers power to the wheels that have the most grip and the torque distribution is varied seamlessly (up to 50:50 front / rear). And there’s even more trick stuff, as a very sophisticated “ESP” constantly monitors the vehicles stability and compares the course being steered with the actual direction of the vehicle and as each wheel is individually monitored and automatically braked so the vehicle keeps to your intended direction. There is lots of technology on this car, but what would you expect from the makers of the world renowned Nissan Skyline (every petrol heads dream car). On road, the old X-Trails ride and performance was legendry amongst 4×4 vehicles. It was car like, not truck like that so many 4×4’s are and its customers loved it for that. Well get ready for a shock, as Nissan have improved its on road manners even further. The car is very quiet and comfortable and almost limousine like on the highway, with no groans grumbles or intrusive road noise. Nissan really do seem to have achieved the impossible. As for the car itself, rather than the ride, well that’s all slightly familiar. If you saw an “All New” X-Trail on the road, you would instantly recognise it as an X-Trail, but it’s only when you put the old and the new cars side by side that you can see what a beefy, chunky and bigger thing the new X-Trail is compared to its predecessor and as I inferred earlier this is an evolution of its styling as its customers were clearly not ready for revolution. The X-Trail is going to be available in 3 models – Trek, Sport and Aventura, with upgraded models available on Sport and Aventura. There will be four different engines, three of which are all new to the X-Trail. There will be two versions of the fuel efficient 2.0DCi engine with outputs of 150ps and 173ps and automatic transmissions will be available on both petrol and diesel engines. In terms of fuel consumption, this is improved across the range, with for example the most popular 150ps diesel engine producing a combined fuel consumption figure of 39.8mpg and 190g/km of CO2. Its bigger brother, the 173ps unit on combined cycle is 38.2mpg with an output of 198g/km CO2. For such a big vehicle, these are very good results. The X-Trail will have a class leading towing capacity of 2200kg so you can expect to see these in big numbers blocking your way on country lanes with a caravan or horse box in tow in the future. Inside the car, it’s very different to the old car with the quirky centrally mounted instrumentation being moved back where it belongs, in front of the driver. The fabrics and plastics used are really high quality with much of it soft to the touch. When I first sat in the car; I was immediately impressed by the improvements over the old car and with just how comfortable the “all new” X-Trail is. Load wise, all the seats fold, so effectively you have more than enough space for carrying things and in the trunk, there is a clever double deck flooring thing with a drawer to keep everything nicely hidden away. There are many changes in the new X-Trail, too many to list, but every new X-Trail gets Bluetooth phone integration as standard (well done Nissan) and has climate controlled air-conditioning. Nissan were very proud of the old X-Trail and justifiably so, but this new car is a car for all seasons, it’s the real deal, it’s the whole enchilada, its full strength non decaf coffee, it is the 200m divers watch and we just loved it. Prices at launch are expected to range from £18795, rising across model specs and engine choices up to £26720. 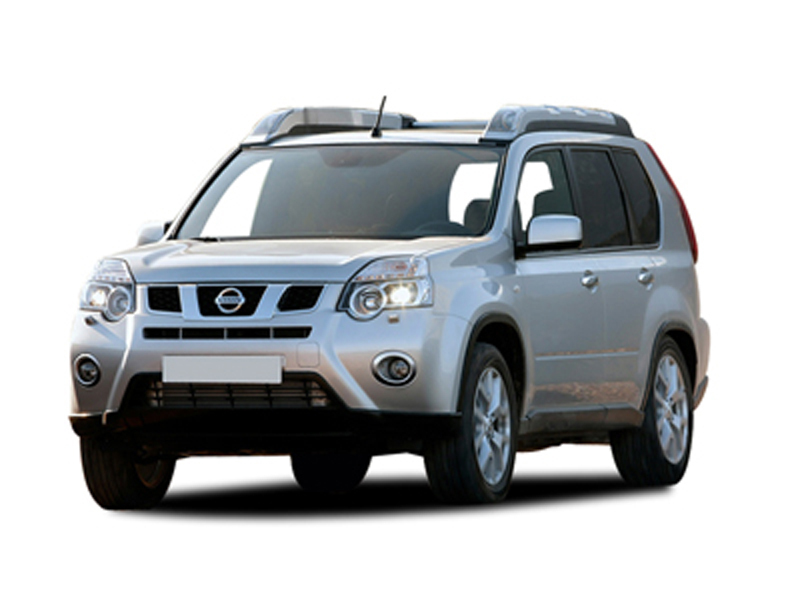 For a quotation on this or any car in the Nissan range, please contact us.